Painting your windows is one of the most important home maintenance activities you can do for your home and for yourself. Many new homes are now built with vinyl frames and you do not have to paint them. Older homes, though still have wooden framed windows. Unless you paint your windows and give them the proper care, they will succumb to dry rot or wet rot from the elements. 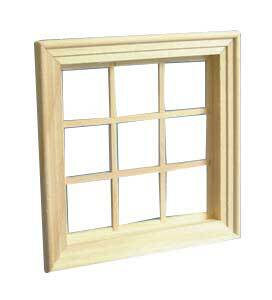 If you have ever had to replace windows, then you will know just how expensive they can be to replace. Depending on the size of the window, they can cost from as low as $200 to $1000 for larger windows. Complex windows can cost even more. Doing an entire home can literally cost thousands of dollars which most of us cannot afford. The alternative of paint your windows is far cheaper. Paint Your Windows is definitely the way to go. The answer to this question really depends on were you live and which direction your windows face. Believe it or not, the amount of sun your windows receive and the number of heating / cooling cycles your windows experience, have a huge impact on how long the paint will last on your wooden window frames. Typically southern facing windows will undergo more heating and cooling cycles. The result is that the paint will after time, begin to bubble and break off. If you live in a location were you have freezing during the evening and above freezing during the day, the water will eventually get under the pain, then freeze causing the paint to bubble off. Even within one year the paint especially on the window sills can lift off exposing the wood to the elements and will begin to deteriorate very quickly. We have found that vertical surfaces will be fine, while the horizontal surfaces such as the window sills will lose some of their paint exposing the bare wood in just 12 months. Once the wood is exposed or water can get under the paint, the wood frame of your windows is going to deteriorate and begin to rot. It might take only a couple years and your wood window sill is soft and not insulating the window in the manner that it should. If you really want your windows to last a long time and to avoid misting up between window panes, you need to take care of them. You may be able to get away with just painting the window sills each year and the rest of the window every two years. Some people will say you can go for 5 years, however do not believe them. You will be replacing the entire window within 15 years if you follow that rule. Start by checking each window and scraping away any loose paint that appears ready to bubble up or is loose. Once you complete this process, you will know how much of the window you will need to paint. If you need to paint bare wood, it should be dry and you should use a primer first before painting with the proper outdoor paint. Give the window you are painting a coat of paint, allow it to dry and then apply a second coat of paint. If you only paint the window sills, make sure that you have a good match in color. Even if using the same paint, it may be a different shade if there is a lot of fading due to the sun. Many people are afraid of heights and are not comfortable being on a ladder. Don’t take chances to save a few dollars. It is just nor worth it, especially if you have an accident and break something when you fall off the ladder. Hire a window painter to do the job, but make sure you understand what kind of a job they will do. Some will just paint over the bubbled parts and it looks great for a little while , then the paint peels off within a few months and you have bare wood. Make sure they will scrape first, then prime and then paint. Inspect their work at each stage and if your not satisfied, get them to do it over again. Before they start make sure there is a clear understanding of what work will be done, how it will be done and that you will be inspecting. There are many door to door companies going around painting. Some are good while others are not. Choose with care and ask for references. Check your windows every year for evidence of peeling and bubbling. Scrape first , then prime and then paint. If your concerned about climbing a ladder, hire a contractor, however be specific about your needs. A poor job is not worth doing at all will give you a false sense of confidence. If you can do it yourself, you will save hundreds of dollars and if you take care of your windows every year you will save thousands of dollars! Hi really nice website about paint your windows, I discovered your site when I was doing investigation on possibly how to develop my web log. I was just now inquiring which spam software program you employ for comments because I get a great deal on my blog.